DALLAS--(BUSINESS WIRE)--Mary Kay Inc., a global beauty company and leader in skin care innovation, continued its ongoing support of the beauty and scientific communities by recently sponsoring the Skin of Color Society Symposium. Mary Kay further showcased its decades-long commitment to conducting cutting-edge skin care research by presenting new findings on hyperpigmentation and facial erythema. At the Skin of Color Society Symposium, Dr. Shoná Burkes-Henderson, Associate Principal Scientist, Clinical Research, revealed new research on navy bean extract and its ability to regulate melanogenesis, leading to an improvement in uneven skin tone and facial hyperpigmentation. Through this clinical study, Mary Kay found that topical application of moisturizer containing navy bean extract significantly improved uneven skin tone and blotchy pigmentation over 12 weeks, and therefore may be used as a natural treatment to help uneven skin tone. 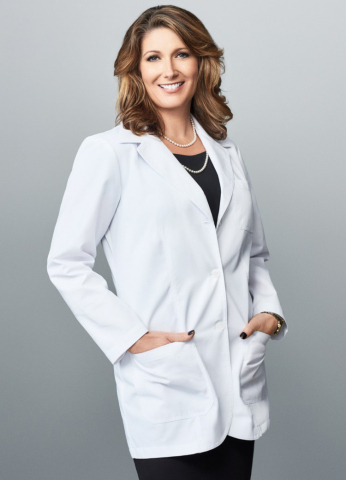 Dr. Burkes-Henderson also presented a new approach to help improve facial erythema, or redness, at the American Academy of Dermatology Annual Meeting. Four botanical extracts were identified to reduce the production of pro-inflammatory proteins and enzymes in the skin and a cosmetic formulation containing these extracts was shown to effectively reduce facial erythema after four weeks. Mary Kay Research & Development continues to share the latest groundbreaking discoveries relating to the treatment of uneven skin tone and facial erythema to the scientific community at large. The team is dedicated to conducting research and developing innovative solutions to address common skin issues that impact women and hinder their self-confidence. Mary Kay’s team of scientists is also dedicated to discovering the trends and technologies that enable the company to create irresistible products that deliver innovative beauty benefits to the consumer. Led by Dr. Lucy Gildea, the Research & Development team includes distinguished scientists from around the world, holding doctorates and other advanced degrees across multiple disciplines: skin biology, cell biology, chemistry, biochemistry and more. The Skin of Color Society Symposium and American Academy of Dermatology Annual Meeting are the latest events in a series of Mary Kay presentations with the scientific and academic communities that reinforce the brand’s longstanding commitment to advancing skin health research and development. Every year, Mary Kay conducts hundreds of thousands of scientific tests on products and ingredients to ensure the highest standards of safety, quality and performance. Mary Kay holds more than 1,500 patents for products, technologies and packaging designs in its global portfolio. Recently, the company announced the opening of a more than $100 million state-of-the-art manufacturing and R&D facility in Lewisville, Texas. Mary Kay Inc., a global beauty company and leader in skin care innovation, continued its ongoing support of the beauty and scientific communities.